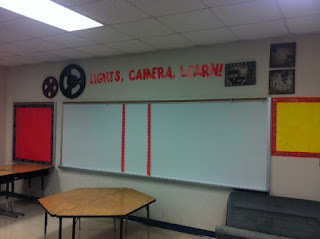 Last year, it started with a few things "movie" related. This year the theme continues. I'll go up to school tomorrow to start working in my room. I did sneak in a few weeks ago to get a few things. My room was sooo clean and the floors were sooo shiny! I created a few items to make my live easier this year. 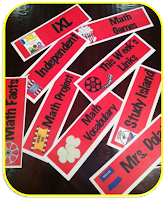 These are my math group cards that I post on my board. 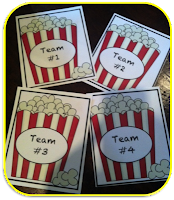 Popcorn shaped cards with a student's name will be under the team card. My board is magnetic, so these all have magnets on the back. Since, I do small group instruction for math, I move my students in and out of groups based on interest or how quickly they catch on to a concept. 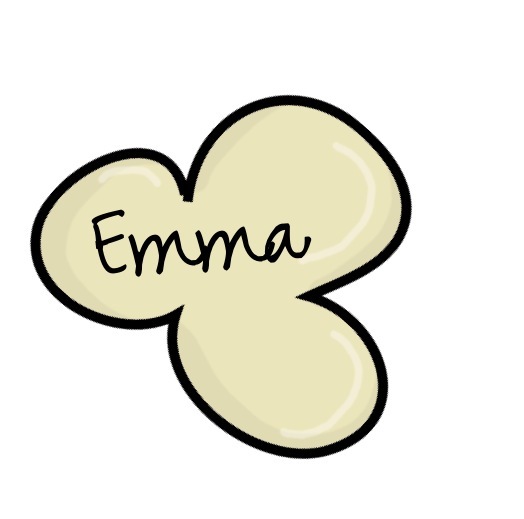 Magnets make it quick and easy for movement! 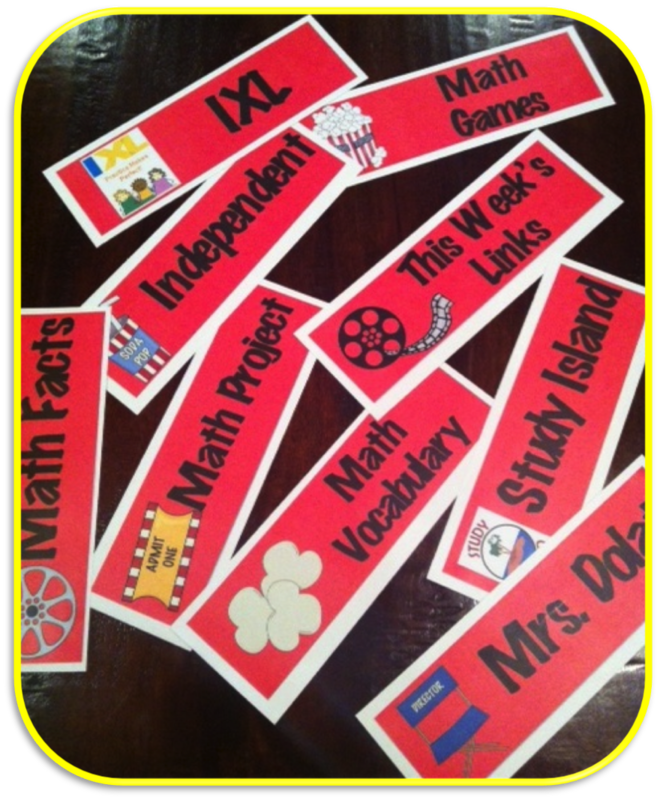 These are some of my math station rotation cards. Last year, I wrote them on paper. Way too many trees used! Magnets are attached to the back of these cards. My students love to rotate the cards. I should make it a class job! I'm trying to convince my husband I need a stage in my classroom! How fun would that be?!!! I picked up big popcorn tubs at Dollar Tree! Usually, I just have a basket at a group of desks so I can put papers or supplies for the day in them. 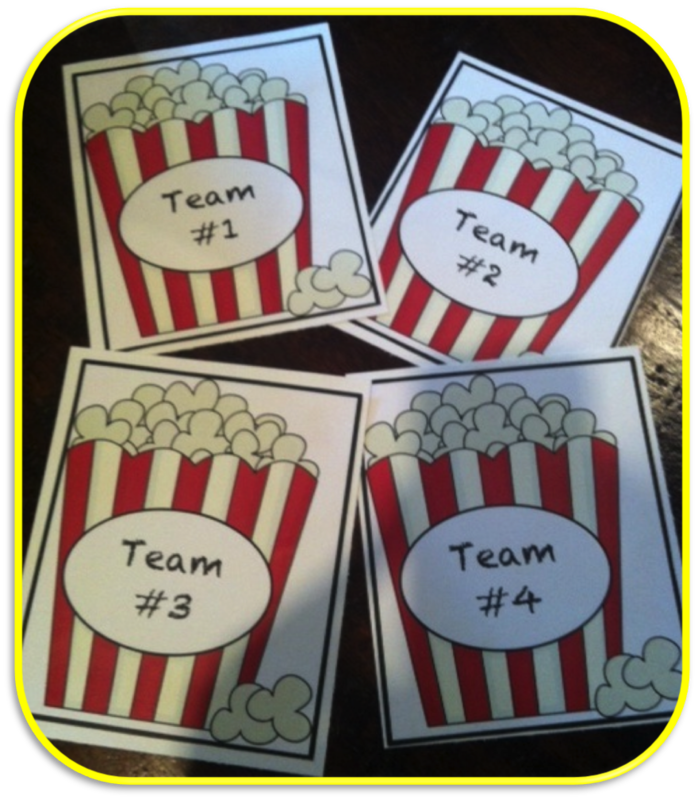 Then, the "team captain" which now might be "table director" can pass them out. I might have to find the smaller ones for pens! Thanks for that site. She has some great documents.